The craggy ruins of a medieval castle are no longer the oldest structures in Tintagel. That title has just been claimed by a Dark Ages castle complex that might well have been the birthplace of King Arthur. That depends, of course, on whether King Arthur ever actually existed. For although the great hero is integral to the fabric of English history, there’s little evidence to suggest that he was a man of flesh and blood rather than the fabrication of a storyteller. But even if the great king was mythical, his biography seems to contain at least a few grains of truth. Legend has it that the man who would save England was conceived in a castle on the rocky coast of Cornwall, the product of an affair between King Uther Pendragon and Igraine, Duchess of Tintagel. Whether or not it truly was the birthplace of a legend, Tintagel continues to fascinate travelers and archaeologists alike. The most recent excavations, which began July 18 and finished August 2, involved digging into previously untouched hillsides. Long before the dig began, geophysical surveys of the terrain concluded that the site likely contained buried buildings. Those surveys were correct. Excavations unearthed thick stone walls and slate floors dating back to the 5th and 6th centuries. In addition to their fine craftsmanship, the buildings contained piles of clues to the identity of their inhabitants. Archaeologists found fine tableware and fragments of pottery, some of which had likely contained imported olive oil or wine from the Mediterranean. Previous digs in the area uncovered equally luxurious artifacts from the same time period, suggesting that the inhabitants of the Tintagel castle were rich and royal indeed. Win Scutt is properties curator for the nonprofit English Heritage, which sponsored the dig. 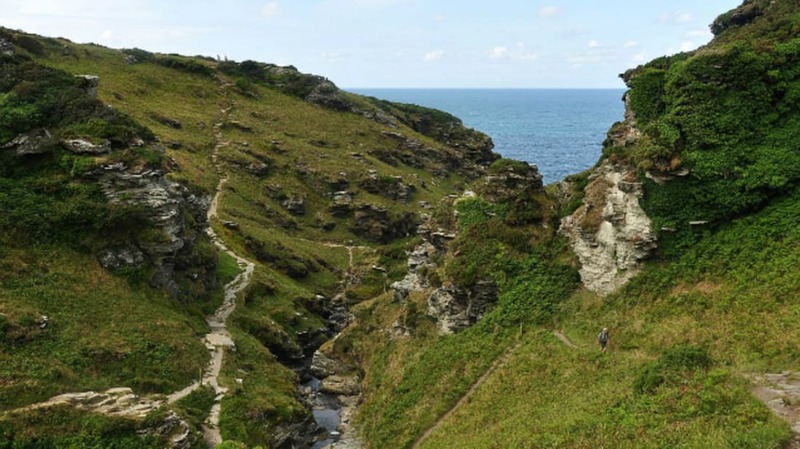 He said the discovery of what appears to be a royal palace has changed historians’ view of Tintagel. “It is helping to reveal an intriguing picture of what life was like in a place of such importance in the historically little-known centuries following the collapse of Roman administration in Britain,” he told The Independent.